On a remote forested ridge, at 1,160 meters in elevation in the southern Appalachian mountains sits Mountain Lake Biological Station (MLBS), a busy hub for ecological and evolutionary biology research. As part of the University of Virginia Department of Biology, MLBS serves as a facility for teaching field courses, a research site for scientists from around the country, and, for parts of the year, a home for students and faculty who come there to learn and to study. Field courses include topics such as Wildlife Disease Ecology and Techniques in Conservation Biology, while research at the station has included studies of high-elevation forest ecology, genetics of various native and non-native plants, and salamander dispersal, to name just a few. The station has some high tech research facilities, including a DNA extraction lab and chambers for growing organisms in controlled environments. The first stop, however, for a scientist interested in studying plants in the area would likely be the much less high tech herbarium. The MLBS herbarium houses more than 9000 plant specimen from the Mountain Lake area, the surrounding Giles County, and a smattering of other locations in Virginia and the Southeast. It’s a great resource that gets used by many scientists studying plants at Mountain Lake. Visiting scientists starting a new research study, for example, might comb through the herbarium to locate possible study populations of a particular plant. A new graduate student might use the herbarium to help formulate research questions and choose a study system. It’s also used for education, particularly during MLBS courses on plant conservation and diversity. The herbarium has been assembled over time through collections by U.Va. scientists and through the acquisition of other scientists’ collections over time. It has become a fairly extensive collection for the region, with significant contributions made by many different researchers. It’s a region that is quite biologically diverse, too, with varying topography and microclimates. Walking out from the station atop Salt Pond Mountain, one can find several forest types, rock outcrops, bogs, streams, meadows, and one of only two natural freshwater lakes in Virginia. The herbarium grows every year, particularly through the efforts of students taking the plant diversity course in the summers. It contains some very old specimens—more than 100 years old. Some of these species may no longer even exist in the locations where they were originally collected. That’s one reason herbaria like the one at Mountain Lake are so important as both a reference collection and historical record. The MLBS Herbarium is cared for by Eric Nagy, Associate Director of MLBS and Assistant Research Professor of Biology at U.Va., and by Zack Murrell, Associate Professor of Biology at Appalachian State University and instructor for the MLBS Plant Conservation and Diversity summer undergraduate field course. “The herbarium is one of Mountain Lake Biological Station’s greatest assets,” says Nagy. “Other field stations drool when they see what we have for our users.” The digitization of the collections and the database of specimen information transcribed through Notes from Nature will make it even more valuable. Mountain Lake Biological Station invites the public to its Open House event, July 13. If you happen to be nearby, stop in to learn more about the research at the station and visit the herbarium in person. What you do in your day job? Unlike most of my Notes from Nature colleagues, I am not in a research or teaching position, and instead focus my energy on building services to support data-intensive research, working with researchers on data management problems, and facilitating the management, access, use, and preservation of research data with UVA researchers. What’s your role with NfN and what do you hope to gain from it? If relevant, how will your research benefit? I’ve been involved with Notes from Nature from its inception, having been the lead PI on a proposal to Zooniverse on behalf of SERNEC. I’ve been working with SERNEC for around 6 years now, with an eye towards digitizing the local UVA biological collections and providing a proper, broader long-term home for the digital data output. The opportunity to partner with the Essig Museum and Natural History Museum teams has been a real pleasure and opportunity to see other approaches for increasing access to biological collections, digitization methods, metadata standards, cataloging approaches, and general collection challenges. 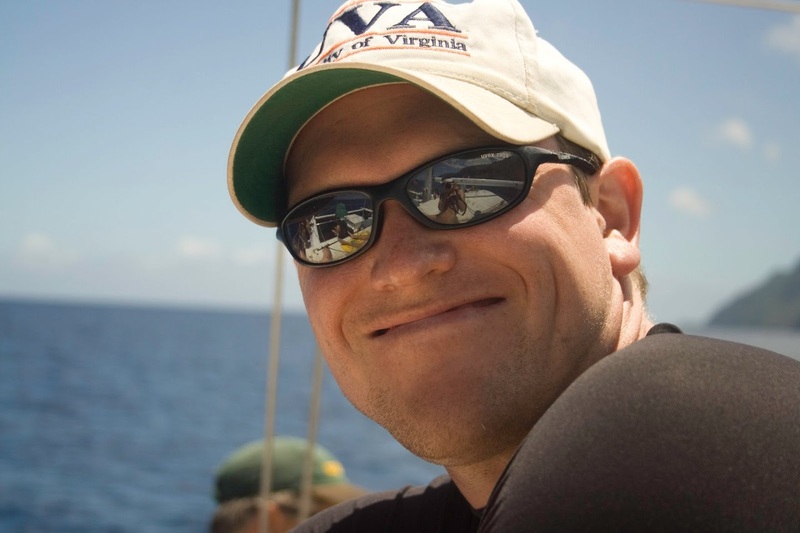 I believe that these experiences will all be beneficial as we continue to develop and evolve research collection management strategies here at UVA. What’s the most exciting aspect of citizen science work from your point-of-view? This project has been exciting in many, many ways. Although I’m not in the role of a scientist, I’ve had the privilege of interacting directly with many collections over the past decade in order to help manage and preserve those collections. I’ve always loved being able to closely examine, understand, interpret, and contextualize items in collections, but this is something most people are never exposed to. Even with many new programs to increase STEM research and education, it’s sometimes hard to develop enthusiasm when direct contact with science is sometimes too dangerous or costly for the student or scientific object; I’ve seen the same be true in libraries (ie. lack of interest in history because it’s all behind glass). Zooniverse projects like Notes from Nature offer an excellent opportunity to make a meaningful contribution to scientific progress by completing critical tasks at a massive scale, while simultaneously having an opportunity to interact quite closely (ie. high-quality images are almost as good as the real thing!) with many specimen and the expert scientists and managers who work with them each day. I’m hopeful that we’ll inspire new researchers and research projects and create some great conversations between those who are passionate about science. Florida State University’s Robert K. Godfrey Herbarium is a biodiversity research collection of about 210,000 plant and microalgae specimens. These primarily document the distribution and natural variation of the roughly 2,800 species of flowering plants, ferns, conifers, and cycads found in the East Gulf Coastal Plain (EGCP) ecoregion—a North American biotic hotspot—and the microalgae of Florida’s Gulf and Atlantic coasts. A secondary strength of the collection is tropical Central America. The herbarium grows at a rate of about 2,000 specimens each year. Stretching across the Florida panhandle to eastern Louisiana along the coast, the EGCP is home to 125 endemic plant taxa (species and varieties found nowhere else), including the White-top Pitcher Plant (left). A large number of the regional endemics are restricted to pine-dominated wetlands and uplands, two communities that have dwindled to less than 5% of their original extent and are now considered among the most endangered ecosystems in North America. Loss of longleaf pine-dominated communities and fire suppression has left many endemics critically imperiled, and the EGCP is also considered a “species endangerment hotspot,” with many of its counties within the top 95th percentile of US counties when ranked by the number of threatened and endangered species in each. The Robert K. Godfrey Herbarium is the most extensive collection of plants from the eastern part of the EGCP. The herbarium was established in 1940 by Herman Kurz (1886–1966), a professor of botany at what was then the Florida State College for Women. 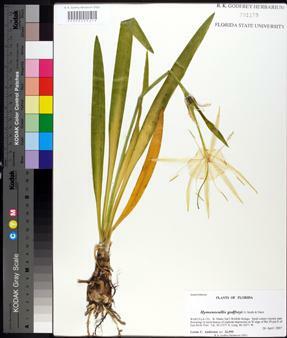 It is named for Kurz’s successor, Robert K. Godfrey (1911–2000), who collected about one-third of the specimens currently in the collection, named many plant species himself, and had 12 plant species or varieties named for him (such as Hymenocallis godfreyi, an endangered spiderlily restricted to one county in Florida; below right). The FSU botanists Loran Anderson, Gil Nelson, and Austin Mast (the herbarium director) currently use the specimens onsite for research and education, as do Florida’s natural resource managers. Through an active loan program, biologists from around the world borrow specimens from the Robert K. Godfrey Herbarium for studies of plant and microalgae systematics, ecology, evolution, biogeography, conservation biology, anatomy, and morphology. 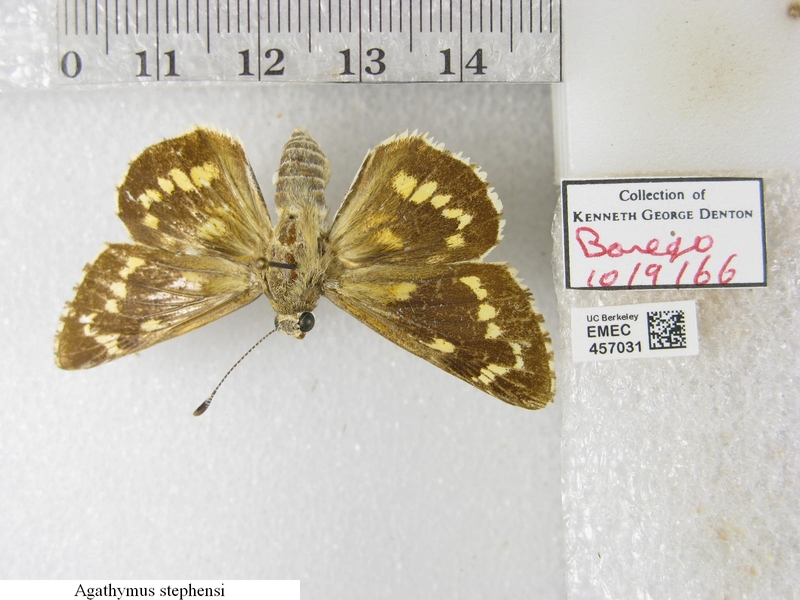 About a third of the Robert K. Godfrey Herbarium’s specimens have been digitally imaged, databased, and georeferenced since 2003, thanks to support from the National Science Foundation, the Florida Department of Environmental Protection, and the Florida Fish and Wildlife Conservation Commission and the (typically) short-term efforts of about 75 students and staff members. 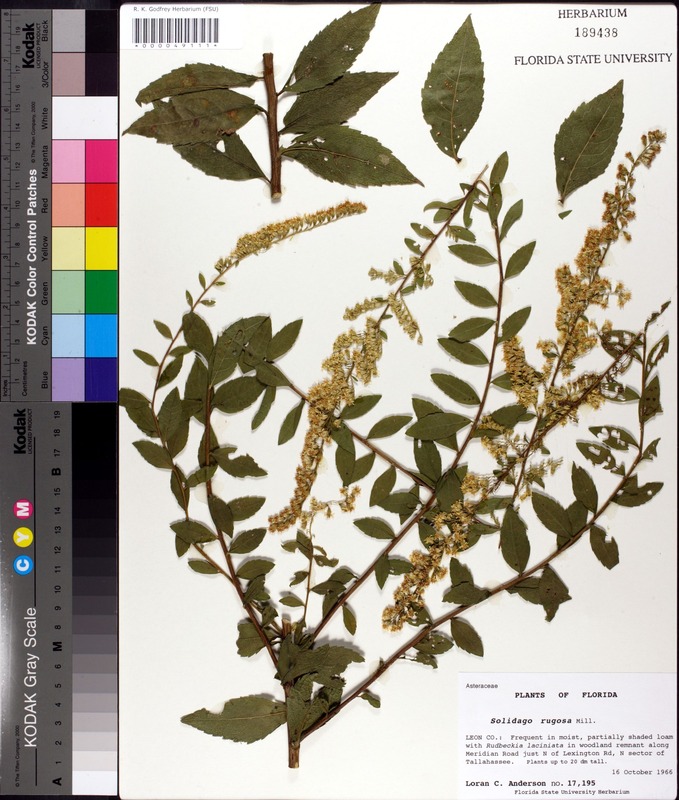 This third of the collection is searchable at http://herbarium.bio.fsu.edu/search-specimens.php, allowing anyone with access to the web to sort result tables, browse through images, and generate distribution maps. The Robert K. Godfrey Herbarium would like to complete the digitization of the remaining two-thirds of the collection in the next 10 years. This parallels the broader goal of the US biodiversity research community to digitize the roughly 90% of the 1 billion biodiversity research specimens yet to be digitized in US collections in the next decade. This ambitious community goal can be reached with greater coordination and standardization within the digitization community, more efficient workflows, technological innovation, and broader participation—ESPECIALLY public participation. For more information on how the public can contribute, see the report on iDigBio’s Public Participation in Digitization of Biodiversity Specimens Workshop organized by the Robert K. Godfrey Herbarium’s director, Austin Mast. The Robert K. Godfrey Herbarium (and all of the world’s biodiversity research collections) need your help to make our specimens broadly discoverable and potentially useful to everyone. Thank you, Notes from Nature community members! Why do we need so many collections of the same plant?! Figure from a paper by C. Lavoie and D. Lachance showing a shift toward earlier flowering time for coltsfoot (Tussilago farfara). 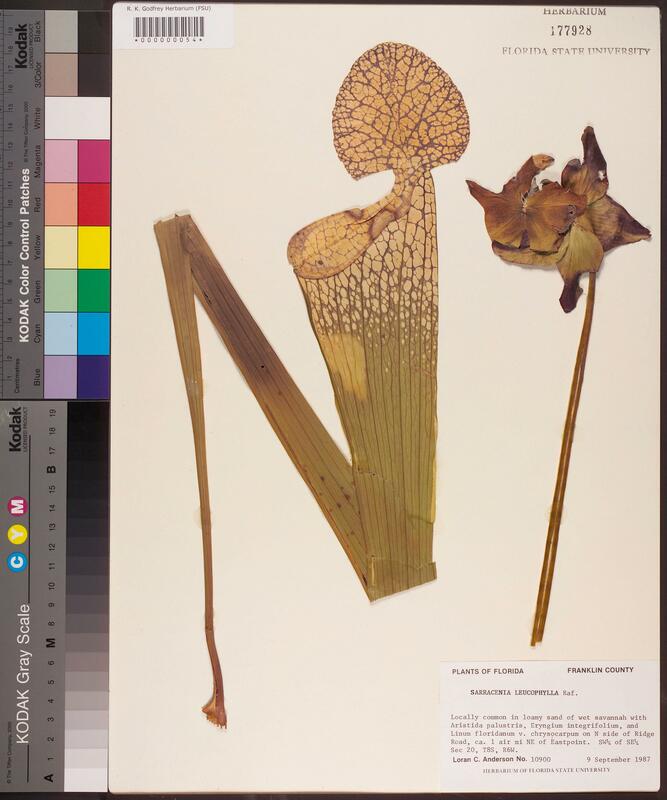 Image used by permission of the Botanical Society of America. When people first get a look inside of a herbarium cabinet they often ask: “why do you need so many specimens of the same plant species?” Well there are a few reasons for this. People who study plants don’t just want to see one example of a species. They may want to see multiple collections so that they can understand the variation in characters for the species. For example, the leaf shape may be highly variable so we would need to see different specimens to understand this. It may also be important to get an idea of all the places where a certain plant can be found. We would need several specimens from different locations to understand the geography. We may also want to know how characteristics of a plant, or its geographic distribution, might be changing over time. In this case, we would need collections from multiple years. The change in when plants bloom (aka phenological shift) has received a lot of attention over the past few years. It is now well established that changes in the climate have caused many species to shift the timing of when the leaves emerge in the spring (leaf out) and when the flowers open. This shift has major implications. One example is that a plant might bloom before its pollinators are available. If pollination does not occur, this could result in the plant not being able to produce fruits and seeds, which are important for the future success of the species. 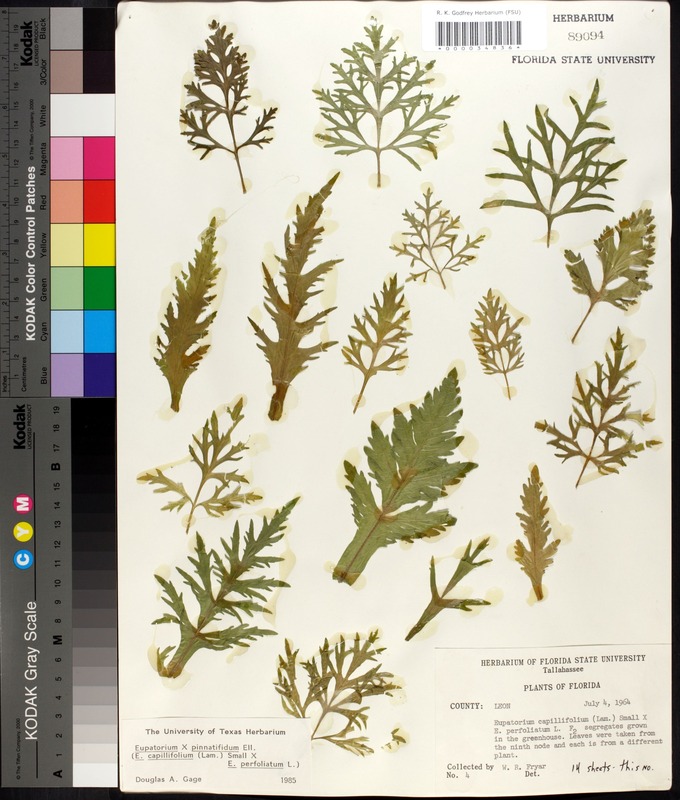 Herbarium specimens can be used in a relatively simple way to study phenological shifts. American Hornbeam (Carpinus caroliniana) flowering in March 2007. Using the date information provided on the specimen label, we can record the day of the year that different plant collections were made (e.g., collections showing flowers in bloom) and graph these values against the year. What is commonly found is that plants are blooming earlier as a response to a warmer climate. For example, the graphic at the right shows how a plant is blooming earlier. The collections made in the year 2000 bloomed several days earlier than the ones collected in 1920. The full article can be read here. I am interested in knowing the date that plants were collected for a different reason. For exotic species, or species that are relatively newly introduced into an area, it is valuable to know when they first arrived in a new place and how fast they are spreading. If we can locate the earliest museum records of a species in the United States for example, we can then trace its expansion to new areas over time using additional museum records (subsequent collections). We can then examine where the exotic species has spread and how fast. There are many factors that influence the spread of exotic species, but describing the basic aspects of their spread in space and time is a first important step in our efforts to understand this process. 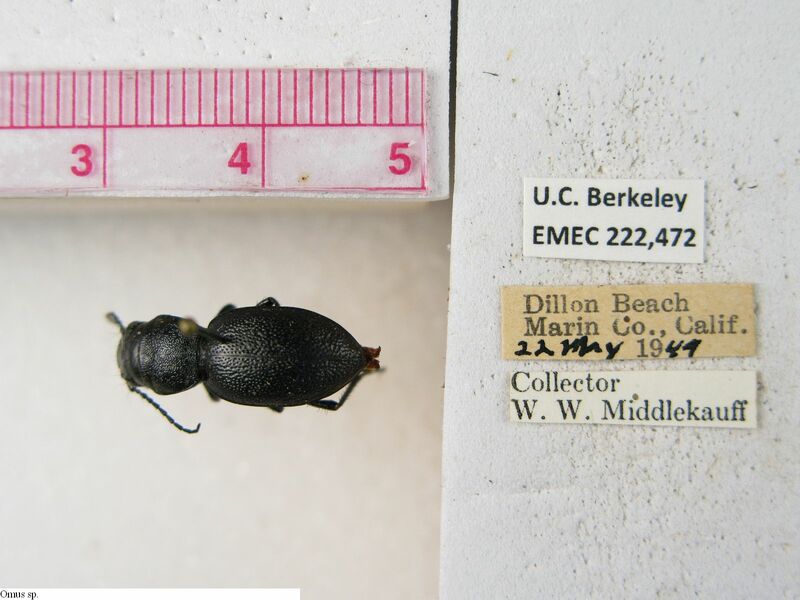 The Notes From Nature projects asks citizen scientists to transcribe specimen labels in order to help record this kind of information that is important in ecological research. The date is a simple but extremely important piece of information. Phenological shifts and the spread of exotic species are two important issues that can be addressed using this information. An herbarium is a place that houses plant specimens. Many people expect that an herbarium will be filled with living plants. However, these plant specimens are pressed, dried and glued to sheets of paper. They are dead. The sheets of paper are typically stored inside of cabinets for safekeeping and organizational purposes. 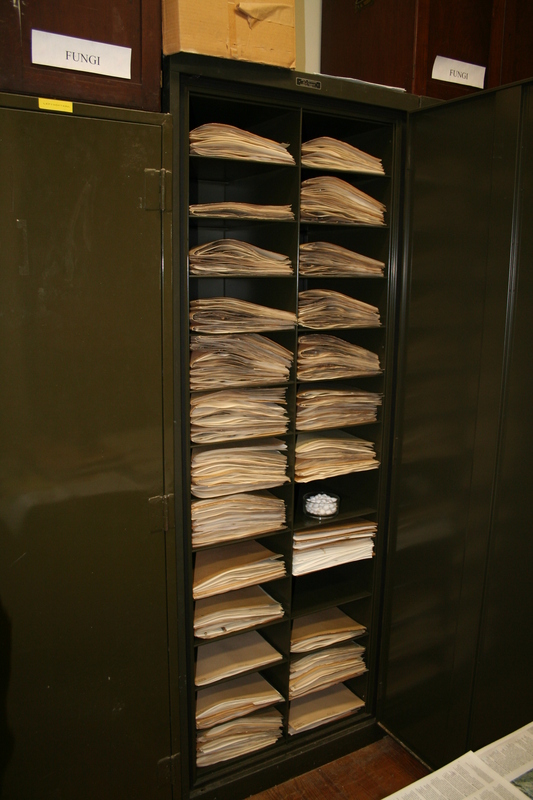 An herbarium is similar to a library in that both house artifacts (specimens or books) in a safe and organized way that allows them to be found and used by researchers. If plant specimens are stored properly they will last hundreds of years with little sign of degradation. If you think about it, it makes sense to store plant specimens in this way (as dead samples). Logistically you can fit and care for many more pressed specimens than living plants in the collection. In addition, an herbarium often contains plants from all over the world including plants from diverse habitats such as deserts and alpine tundra. It would be tough to grow all of these different plants in one place. Herbaria are sometimes part of natural history museums, associated with botanic gardens or academic institutions. The largest herbarium collections in the world are housed in Paris and New York. These large collections contain millions of specimens. However most herbarium collections are much smaller. There are more than 3500 herbaria scattered across the world. In fact, you likely have a local herbarium that contains specimens of the plants that occur in your area. To learn more about the herbaria in your area you can search Index Herbariorum, a global directory of herbaria. Michael Denslow collecting plants in central Tennessee, USA. Humans have been collecting specimens from the natural world for centuries. These specimens include samples of rocks, minerals, plants, fungi and animals. In fact, a lot of the knowledge that we have about the earth’s plants and animals is based on specimens that were collected in nature. These specimens are now housed in natural history museums. The world’s great exploration expeditions often included teams of scientists that documented the things that they saw along the way. For example, Lewis and Clark’s expedition of the western United States resulted in the discovery of hundreds of plants and animals that were new to science. Today, there are an estimated 2 billion specimens housed in natural history collections around the world. This incredible resource provides us with baseline information about the biodiversity of the earth. In addition, the data resulting from these specimens has been used to address a wide range of society’s pressing issues such as public health and environmental change. However, for this resource to be used to it full potential there must be better digital access to the collections. Most natural history collections are housed in museum cabinets, where they are not easily available to citizens and researchers. It is estimated that only about 1/3 of all natural history specimens are available digitally over the Internet! In effect, the other 2/3 of this biodiversity information is locked away from view. This is despite the fact that the natural history museum community is committed to providing access to this data. The Notes from Nature project is about digitally unlocking this treasure trove of biodiversity data. Contributions from the public or informally trained people have always played an important role in the field of natural history. These citizen scientists, as they are now called, have made many important contributions, including collecting specimens and even describe new species. Today’s technology provides us with new ways for people to engage with natural history collections, and to help promote access to this biodiversity resource. The Notes from Nature project has built a tool that enables citizen scientists to make a scientifically relevant contribution though the transcription of specimen label information. Please consider helping us unlock this important information by taking some notes from nature. Every transcription that is completed brings us closer to the goal of providing access to this critical resource.